Intel Core i7-8700K – Day-old coffee, or freshly brewed espresso? IT’S BEEN ONE HELL OF A YEAR for processor launches: Kaby Lake, Ryzen, Thread Ripper, Skylake-X, Kaby Lake-X, and now Coffee Lake as well. That’s six different SKUs in less time than it takes to spit, each housing a plethora of fantastic advances for the computing enthusiast. It’s hard to deny just how much of an effect AMD’s Ryzen has had on the industry. Intel, in particular, has upped its game in response to the multithreaded prowess of the red core. And that response has come in two forms: Skylake-X to combat Thread Ripper at the high end, and Coffee Lake to take the fight back to the mid-range. So, then, what’s so different? To be honest, not a lot. Coffee Lake’s architecture isn’t very different from its Kaby Lake predecessor—it’s more a refinement of that architecture, which is, in itself, a refinement of Skylake. The big difference lies in core count. Intel has reshuffled both core and thread counts across its range. 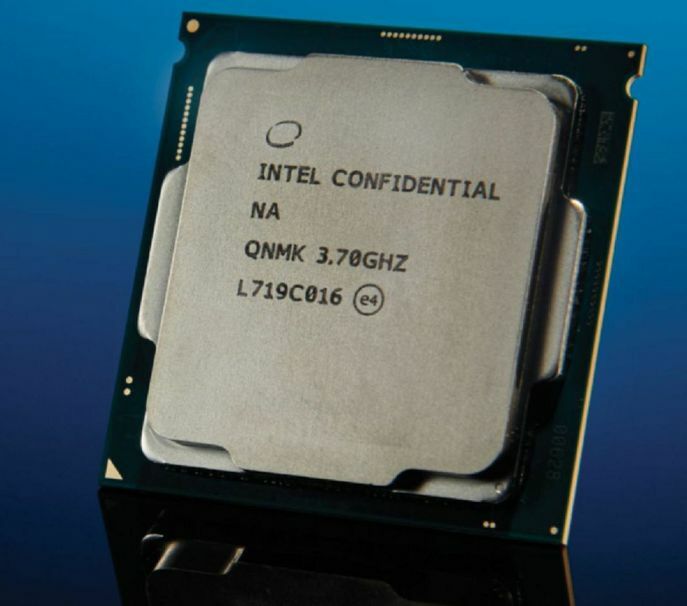 The Core i7-8700K features 6 cores and 12 threads, the Core i5 has six cores and six threads, the Core i3 comes with four cores and four threads, and (if the rumors are to be believed) the Pentium has just two cores and four threads. It’s still shy of the eight cores found on AMD’s Ryzen 7 1800X. However, Intel is banking on its outstanding single-core performance, memory support, established platform, and competitive pricing to level the playing field. And they certainly do. 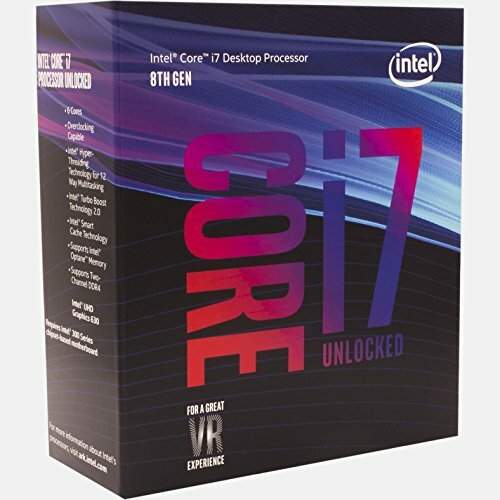 The Core i7-8700K is impressive. Although architecturally identical to its predecessor, both its synthetic and real-world benchmark performance is exceptional. Scoring 1,553 points in Cinebench R15 puts it just 60 points behind the Ryzen 7 1800X. The big difference, though, lies in that single-core performance, as expected—the 8700K comes in at 205 points, versus Ryzen’s 159. This also translates in-game, because it scores higher than any of the processors we’ve tested in the last year. And there’s the clincher: Intel’s core architecture is a well-established platform. Whether it’s memory support, in- game performance, or platform reliability, it just all works. There are caveats to this “more cores” approach, however. We’ve seen power draw increase by over 88W under load, compared to the last-gen Core i7-7700K, even drawing 10W more than Ryzen’s 1800X, and temperatures are elevated, too. Under our 280mm AIO, temps easily hit 70 C or more at stock. Sandy Bridge-style of solder would have alleviated these temperature issues, and allowed for beefier stock clocks on the majority of its parts, without necessarily losing out on stability, potentially enabling team blue to surpass AMD’s Ryzen flagship with little risk. Because of that, the overclocking is equally not as stellar an experience. Although we managed to get our chip up to 5.2GHz (maximum true turbo sticks resolutely at 3.7GHz), both temperature and stability held us back from going any further. Again, we’re at that point where the only solution would be to delid the processor to take it higher, something not exactly enticing for the average user. Best scores are in bold. Our test bed consists of an Asus Z370 Maximus X Hero. 16GB (2x 8GB) of Corsair Dominator Platinum DDR4, an Nvidia GeForce GTX 1080, and a Samsung 850 Evo 500GB SSD. All games were tested at 1440p on the highest graphical profile. A knee-jerk reaction maybe, but it’s certainly effective.